What do you love most about your favorite movie? Is it a plot twist or brilliant line of dialogue? The lead actor’s hilarious performance? Or the stirring musical score? While those elements are often the most memorable, there’s an unsung hero – an aspect of filmmaking that drives a movie’s story and inspires our emotions: Color.  Unlike other filmmaking elements – like screenplays, performances, and scores — there’s no single person or discipline with primary responsibility for presenting a film’s colors. Yet throughout the production, many departments are making creative, effective color choices. Those choices convey tone, theme, character and story (often, on a subconscious level). Their effect in great films proves that color a key visual storytelling tool. Today we’ll see how the disciplines of costume design, lighting, and cinematography have used color to elevate films to memorable, emotional experiences. Even as kids, we understand that wardrobe reveals character. The old cowboy movies and many current cartoons dress good guys in white and villains in black. 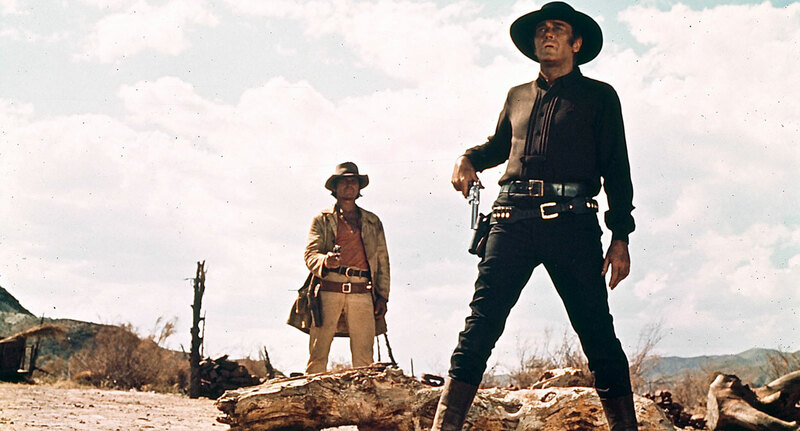 For example, in “Once Upon a Time in the West,” Henry Fonda’s dark attire makes it crystal clear: He is one bad dude. But a costume designer knows actors aren’t just characters, they’re part of the set. Their wardrobe adds to a film’s aesthetic and it’s an effective way to show viewers the world of the film. 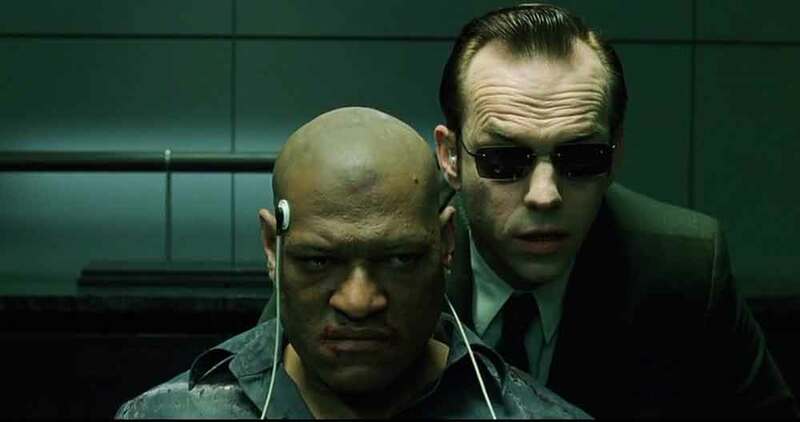 Few films demonstrate this concept better than “The Matrix.” The setting is a dystopian future where it’s not just people’s bodies that have been enslaved, but all of human consciousness. It’s a world in which each individual is disposable. Talk about dark! “The Matrix” wardrobe evokes this “dark” perspective literally. Nearly all the characters wear black. Even the heroes, struggling in this doomed world, don black cloaks as they battle to liberate humanity. While colored lights and gels will change the hue of a scene on their own, brightness is a way to affect the color choices of other departments. In fact, lighting can be used to push a film’s colors over the edge. 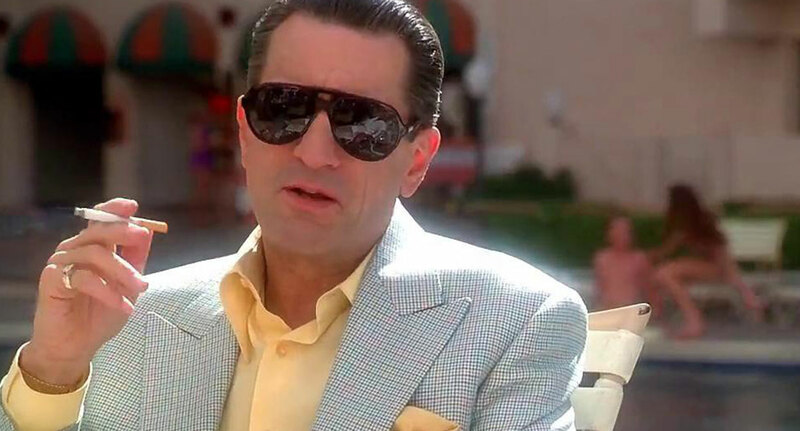 In Martin Scorsese’s “Casino”, scenes were lit with dramatically overexposed lighting, giving every object, and even the cast, an unnatural glow. This lighting choice took the colorful backdrop of 1970s Las Vegas and added a veneer of shimmer, echoing the film’s themes of excess and material desire. By contrast, excessive shadow, or a lack of light, can be used to haunting effect, as in David Fincher’s “The Game”. The low lighting and stark shadows emphasize the protagonist’s paranoia and the mysteries he faces. This effect pays off in the film’s notorious White Rabbit scene. 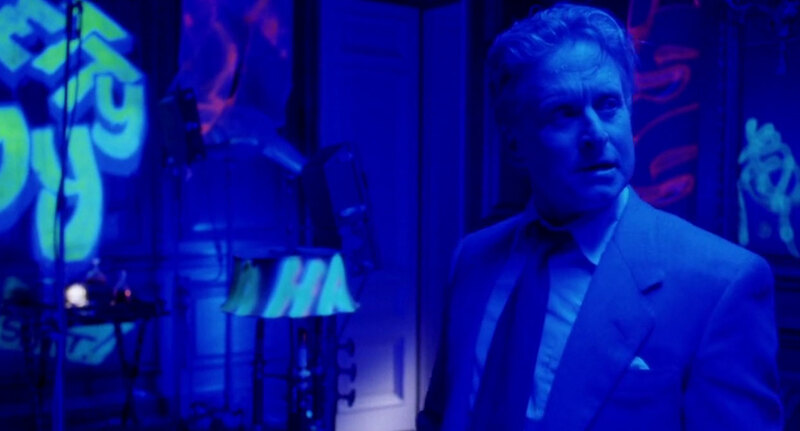 If you haven’t seen it we won’t spoil it, but it involves a terrified Michael Douglas, Jefferson Airplane at the appropriate volume, and more blacklights than a Humboldt State dorm room. When it comes to color, most of us consider a camera’s exposure to be the critical factor. 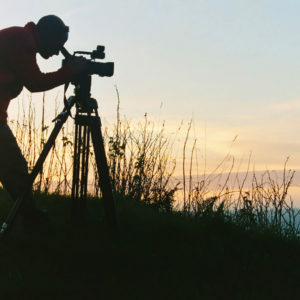 However, the very type of camera used plays a big role in displaying a film’s color scheme. 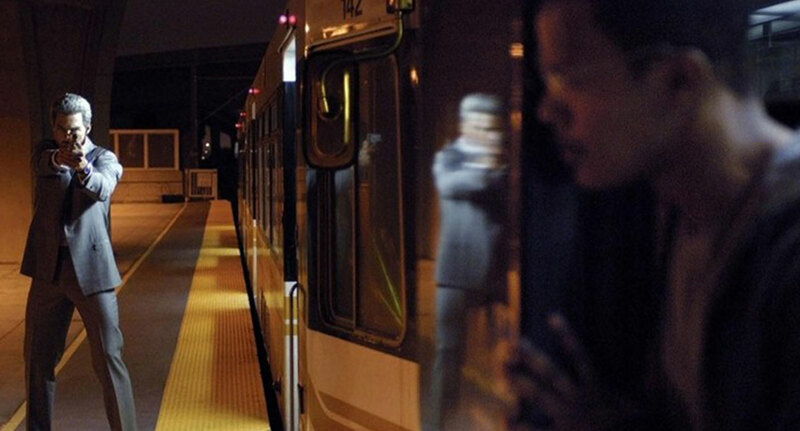 Michael Mann’s thriller “Collateral” is a great example of camera type affecting color. When the film premiered in 2004, Mann became one of the first big name filmmakers to shoot a major motion picture with an HD camera. This choice was a risk. The HD video look was a departure from long-standing Hollywood aesthetics. With 35mm film, it was easier to portray things ideally and hide the ugly details. With HD, Mann had to work with a look that was more real and gritty. Applied to the nighttime sequences shot around Los Angeles, Mann used the camera to its full effect, delivering a crisp, color-muted pallet that gives the viewer a sense that they are watching real-life drama unfold. No Hollywood Technicolor here. Just the cold hard reality of streets and alleys that city dwellers recognize from their everyday lives. The strength of a film’s color pallet is a testament to creative decisions made by many departments. When used effectively, a color scheme adds to the peaks and dips of a film’s emotional roller coaster, and makes a strong story even more powerful. To learn more about color in film, check out this article from Digital Synopsis.